Women’s boxing first appeared in the Olympic Games as a demonstration sport in 1904 but was banned in most nations, including the UK, for most of the 20th century. A major breakthrough for female boxers in Britain came in 1996 when the Amateur Boxing Association of England (the previous name of England Boxing) lifted its 116-year ban and allowed women to compete and join its affiliated clubs. Internationally, AIBA passed a resolution to allow women’s boxing in November 1993 and in 1999 it held the inaugural European Cup for Women, followed by the first ever World Championship in 2001 in Scranton, Pennsylvania. Since then the sport’s popularity has increased rapidly, with the introduction of the Women’s World and European Championships as regular features in the international boxing calendar. Women compete with vests and headguards and box for 4×2 minute rounds. Despite its growth in popularity, boxing was still the only sport in the Olympic Games in which women were not represented until 14th August 2009 when the International Olympic Committee (IOC) announced it would include women’s boxing at the 2012 Games in London. Three weight classes were added to the Olympic programme with one of the 11 men’s classes dropped to make room. Women boxed at flyweight (51kg), lightweight (60kg) and middleweight (75kg). In preparation, GB Boxing held its first ever women’s assessment camp from 6-8th November 2009 in Sheffield, which was attended by 23 boxers nominated by the national governing bodies (NGBs) of England, Scotland and Wales. The first ever female GB Boxing squad was selected in March 2010 and featured seven women: Nicola Adams, Lucy O’Connor, Nina Smith, Natasha Jonas, Amanda Coulson, Ruth Raper and Savannah Marshall. The boxers trained alongside the men’s Podium squad at GB Boxing’s headquarters at the English Institute of Sport in Sheffield. Since 2010, GB Boxing’s women’s Podium squad has continued to evolve, most notably with the addition of Lisa Whiteside, Chantelle Cameron and Sandy Ryan, and has gone on to be hugely successful, winning 15 medals at seven World and European championships. This includes World Championship golds for Savannah Marshall in Qinhuangdao, China in 2012 and Nicola Adams in Astana, Kazakhstan in 2016. At the 2012 Olympic Games in London, Great Britain fielded a full team of three women comprised of Nicola Adams (flyweight), Natasha Jonas (lightweight) and Savannah Marshall (middleweight). 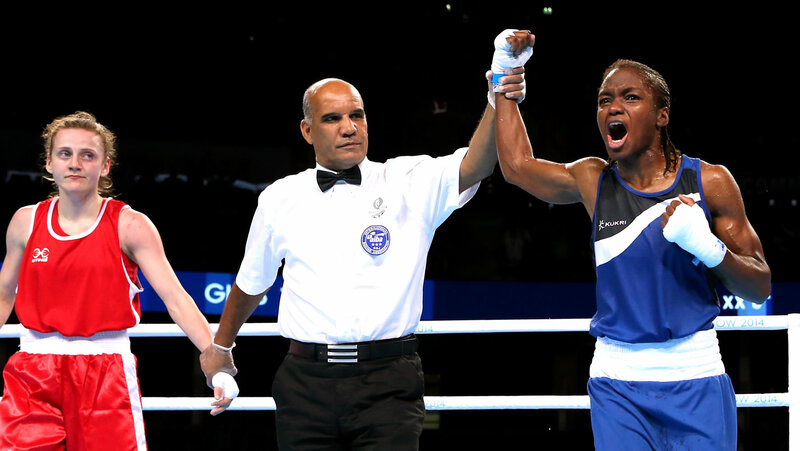 Natasha Jonas made history when she became the first women in history to box for Great Britain at an Olympic Games as she defeated Quanita Underwood of America in her opening bout. 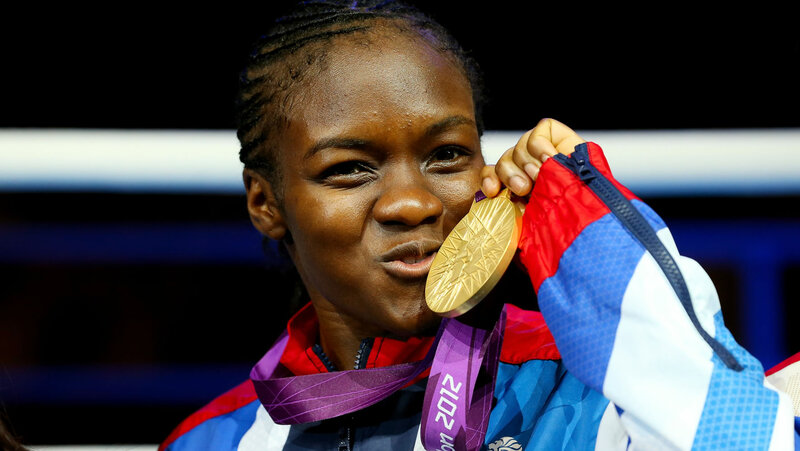 On 9th August 2012 Nicola Adams went one further and established herself as one of the stars of London 2012 when she defeated her arch rival, Ren Cancan of China, to become the first women in history to win a gold medal for boxing at an Olympic Games. Following the success of women’s boxing at the Olympic Games, the Commonwealth Games Federation announced in October 2012 that women would box at three weights in the Glasgow 2014 Games. It was to prove another triumph for women from the GB Boxing squad as Nicola Adams and Savannah Marshall both won gold in Glasgow. Great Britain will take two female boxers to Rio after Nicola Adams and Savannah Marshall secured their places at the Games at qualification events in Turkey and Kazakhstan respectively. 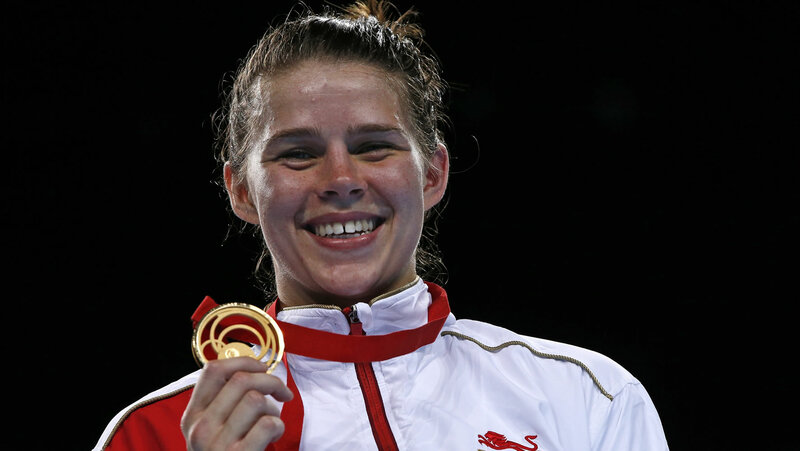 For Adams it will be an opportunity to make history for a second time and match the achievement of Harry Mallin, who won boxing gold in 1920 and 1924, and is the only person in history to have won boxing gold medals at consecutive games for Great Britain.